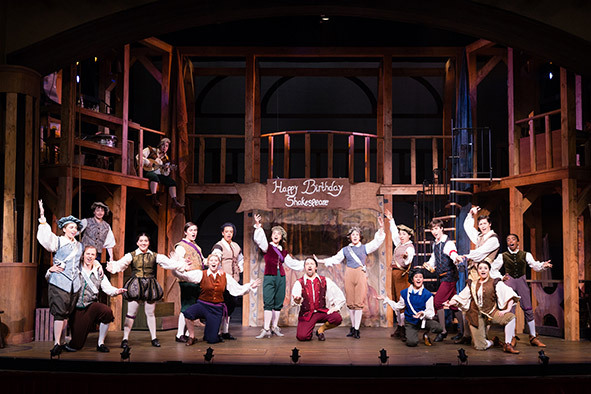 The Guild was formed in 1998 to promote and support the Annie Russell Theatre and the students of the Rollins College Department of Theatre and Dance. The Annie Russell Theatre Guild supports the Department of Theatre and Dance in myriad ways, while building relationships with one another and our students. Join the fun! Sponsor events that heighten community interest, awareness, and involvement with the Annie Russell Theatre. Sponsor projects that enrich the educational experience of our Rollins theatre students. Support students in individual projects and endeavors related to their education. The Annie Russell Theatre Guild meets five times a year. Additionally, the Guild sponsors picnics for the cast and crew on the second Saturday of each production, and sponsors a festive celebration each December for Alpha Psi Omega honor society members. For more information on becoming a member of the Guild, please call Chelsea Hilend at (407) 646.2253. She will connect you with current Guild President, Anilda Ward. You can also visit the Guild on Facebook.